On a hill top in the heart of Singapore’s city centre district in Chinatown, there lies some very interesting and significant historical monuments. I was thinking, back in the old days when there were no tall commercial buildings that Singapore had today, the view from this hill top could be awesome, looking at the sea, harbour and city centre. On top of a hill does makes it an important and strategic location for the “eyes” to watch over the peace and security of a district. On top of Pearl’s Hill, there is the Pearl’s Hill Terrace Building, occupying the former Straits Settlements barracks, built by the British. Today, it is now a hub for start ups and small businesses. I walked up there to look for my friend’s office before and I would always pass by this corner of the Pearl’s Hill Terrace building without knowing the history and significance behind that thick wall. 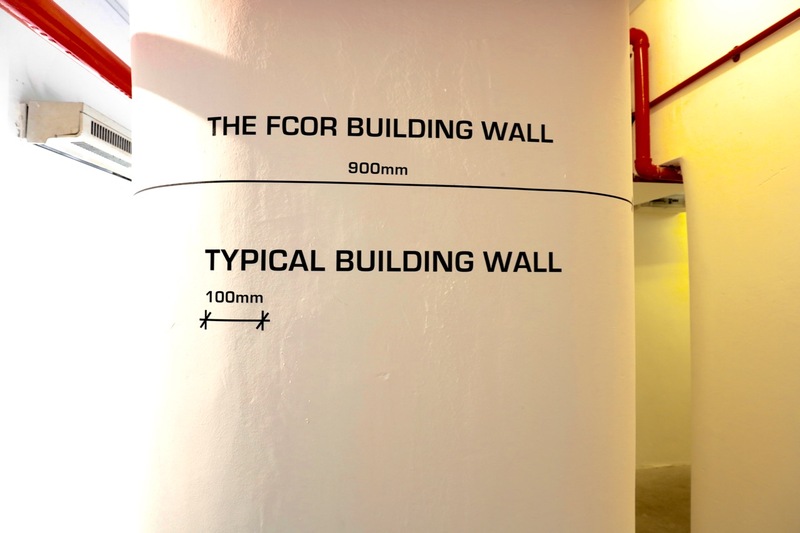 Behind this thick wall, there is a door that leads to the former combined operations room, it is a bomb proof bunker that plays an important and significant part in Singapore’s history of pre-independence and post-independence. This bunker was so well hidden and it’s just another part of the building that I never knew something important could be occupying there previously! 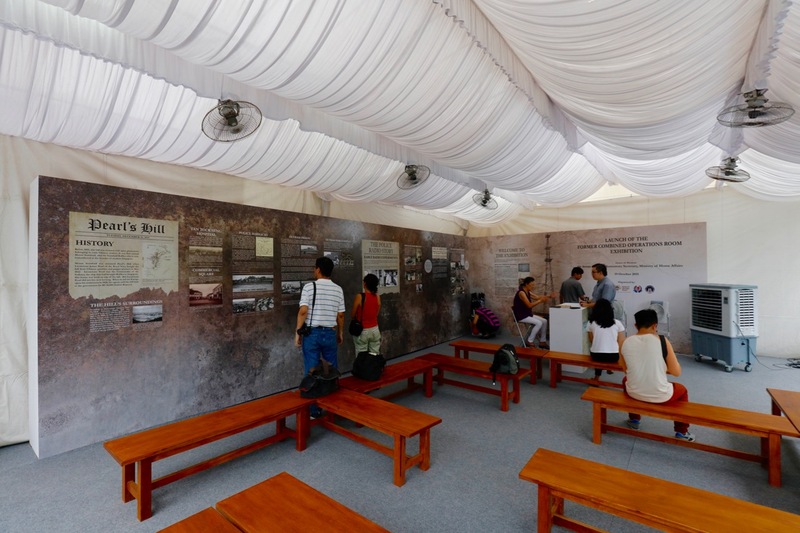 The Former Combined Operations Room (fCOR) exhibition, the HT SG50 exhibition, is launched by the Ministry of Home Affairs (MHA), along with the Singapore Police Force (SPF) and National Heritage Board (NHB). 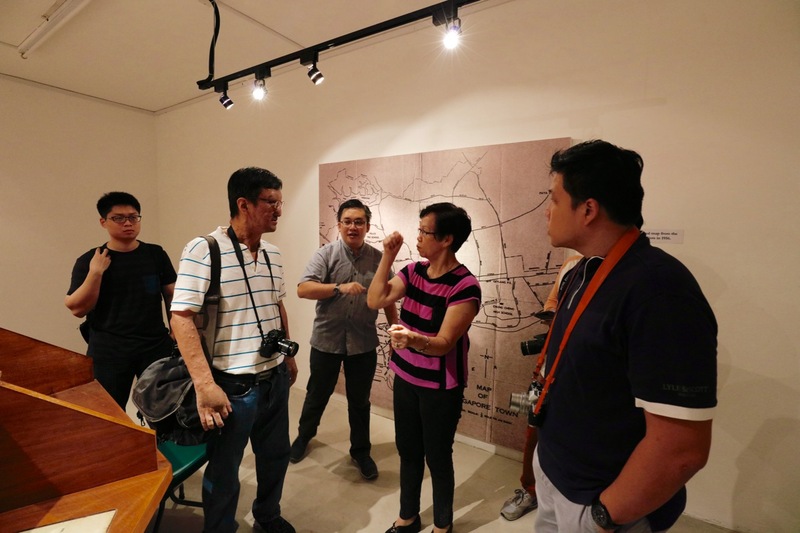 This is really great as we get to see, feel, learn, know and understand more in-depth of Singapore’s history. While waiting at the registration point before entering the FCOR for the special guided tour, my fellow heritage and photography friends were busy reading the history boards, showcasing the timeline and history of our British Colonial days, Singapore Police Force and history of Pearl’s Hill. This was definitely a real eye opener for me! Oh, I have to mention that that is an old police car on display! The fCOR plays a significant and important role, an iconic historical structure of our SPF. This was like the brain, the nerve centre where she had seen, managed and resolved the major crisis that happened in Singapore, the numerous communal and communist related incidents such as the 1956 Chinese Middle School Riots, Konfrontasti and 1969 racial riots. During our special guided tour, we were very honoured and blessed to meet a pioneer, Mdm Evelyn Wong, age 71 (she doesn’t look 71! ), a former Senior Staff Sergeant with the Singapore Police Force. She came along in our group for the guided tour. As we walked through the tight and narrow corridors of the fCOR, we started to know, understand and learn more about the operations and people behind the scenes that played many key parts in building up the peace, prosperity and safe Singapore today many of us, especially the younger generations of Singapore, enjoyed so much today. We toured the Radio Control Room, Chief Police Staff Officer Room, the Map Room, we listened attentively to our guide, Mr John Kwok from NHB and Mdm Evelyn Wong, sharing with us their insights and real life stories. Although the fCOR exhibition is a re-creation of the 1950s settings and furnishings, we were able to see a few of the original equipment that were used during the fCOR operations. 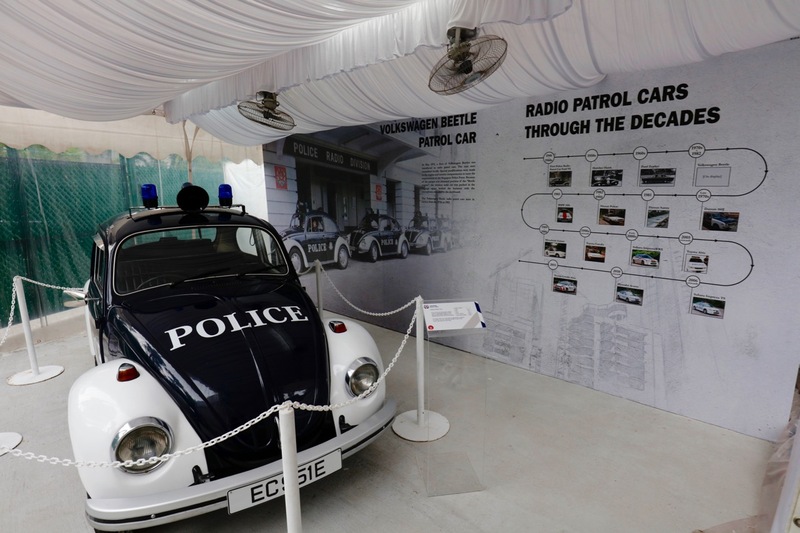 The Radio Control Room had the replica saucer shaped podium where the famous iconic 999 girls of the Singapore Police Force used to work at. Mdm Evelyn Wong shared many real life stories when she was working there inside the fCOR, it was amazing to listen real life stories that happened in Singapore and she was very enthusiastic and passionate. I can still feel Mdm Evelyn Wong professionalism from her sharing even though she had retired from the Singapore Police Force. At the Chief Police Staff Officer Room, it was not just a bird’s eye view, it was the brain and nerve centre for the senior police officers to oversee the whole of Singapore (in the Map Room below), to command and order the various resources and other government agencies, to handle crisis and situations in Singapore. Walking down to the Map Room, with the Singapore map and board, it was like the Ops Room where the operational instructions, coordinations and updates took place. 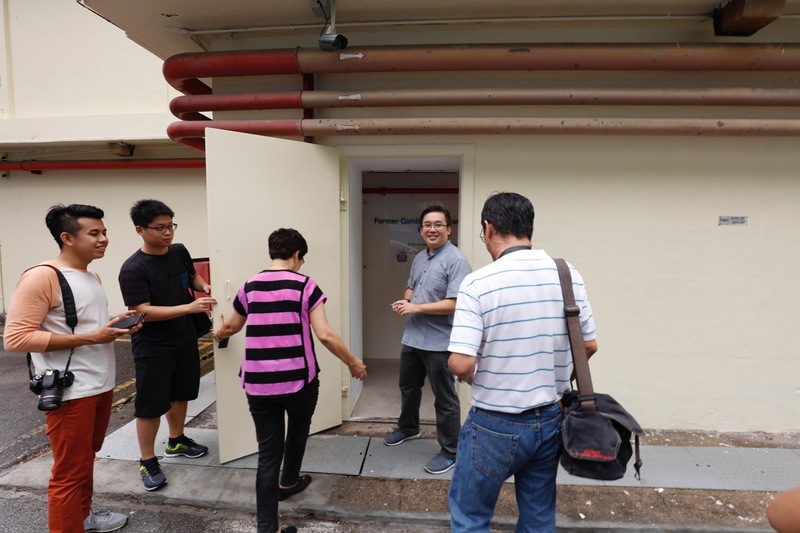 Our group spent some time here and Mdm Evelyn Wong shared more real stories of the crisis that happened in Singapore whereby she was part of the action while working inside the fCOR. Everyone of us were mesmerised and engrossed by Mdm Evelyn Wong real life stories sharing, we can feel the emotions, the passion, touching stories by one of the many pioneers that helped to build up Singapore today. Her sharing made me feel very blessed, of what we have and achieved today in Singapore, it’s not by luck and we went through crisis and challenges to reach our living standards today in Singapore. Pioneers, like Mdm Evelyn Wong and many other Pioneers all played significant and important roles (no matter how big or small) to build up Singapore today. I would like to say a BIG THANK YOU to all the Pioneers that helped to build the modern Singapore today! The fCOR exhibition is now on till 31st January 2016, more information can be found here on the Ministry of Home Affairs website. Please do take note that registration and pre-booking is required to visit the fCOR exhibition and maximum capacity is 10 participants per tour. 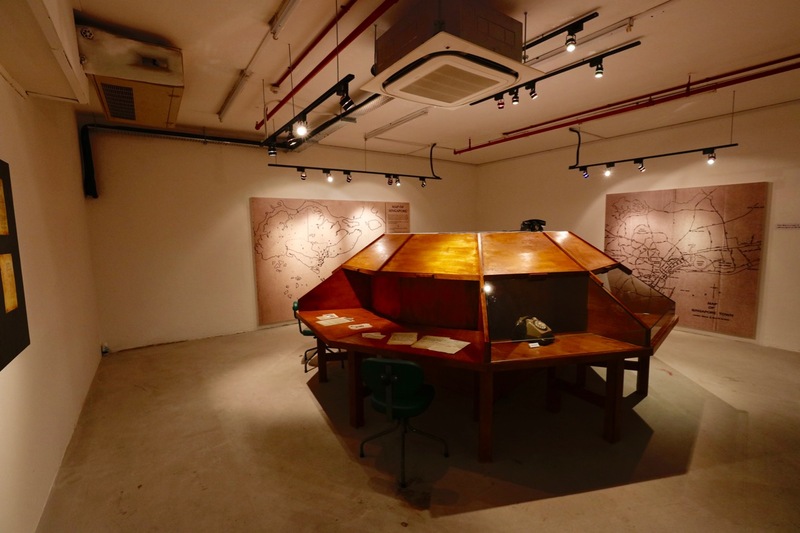 For those interested in visiting the fCOR exhibition, you can call 9893 5140 during office hours from 0900hrs to 1700hrs, or email fcor@mha.gov.sg to book your tour with the Ministry of Home Affairs. 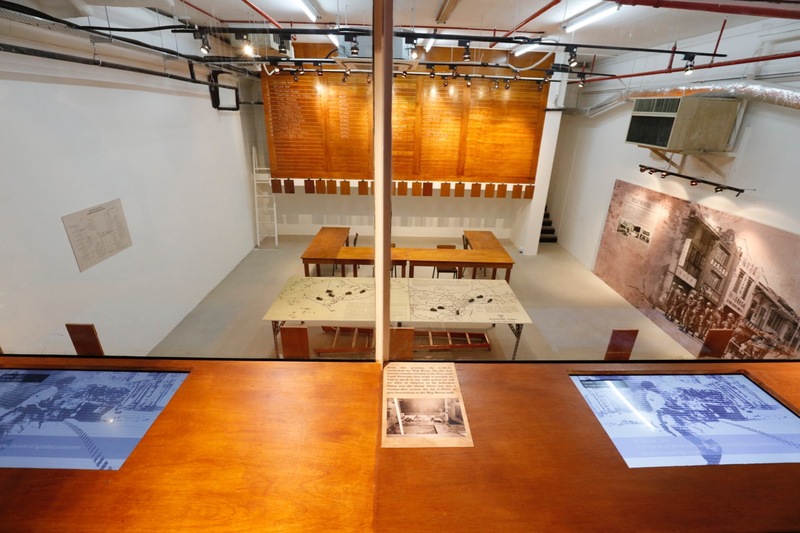 Walking out of the fCOR exhibition, I learned something new and more about Singapore’s history. 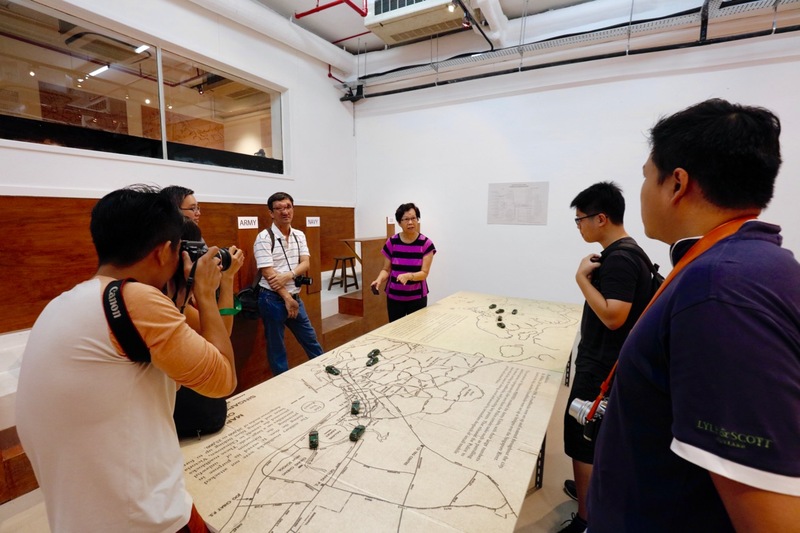 I hoped that they can do more of such exhibitions that goes beyond the history text books that they can teach and share many more key and significant history, life experiences to Singaporeans.